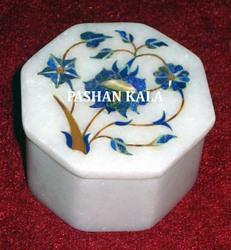 Stone Inlay Box, Size: 4"x3"x5"
Fine Decorative Soapstone Pill Box Available In Different Designs & Sizes. 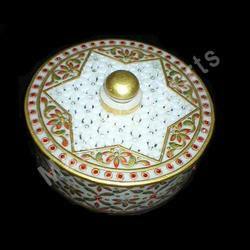 Engaged in offering a wide range of Stone Jewelry Box, with attractive design. Our range of product is well acknowledged for its superior quality, accurate dimensions, cost effectiveness and durability.